Here are three new films I caught in theaters recently. 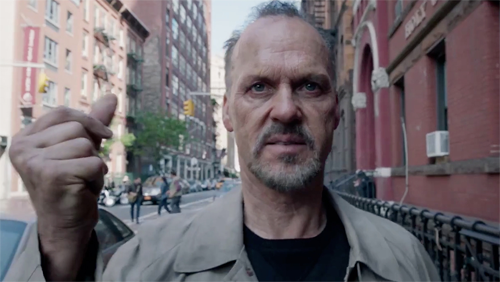 Michael Keaton plays a has-been movie star hoping to gain artistic respectability by writing, directing, and performing in a Broadway play. But as he goes through rehearsals and previews, everything seems to be spinning out of control. What’s more, he either has supernatural powers or believes that he has them. Edward Norton plays an actor who already has the respect of critics, but is only fully himself when he’s on stage. Also in the cast: Zach Galifianakis, Naomi Watts, and Emma Stone. Like Hitchcock’s Rope, it’s not really shot in a single take, but is designed to give that impression. But unlike Rope, the gimmick works this time, perhaps because digital technology made this sort of thing possible. Much of the film is hysterically funny. But the picture is just a bit too long for the story or the idea, and in the end it doesn’t quite satisfy. From Alejandro González Iñárritu, whose Babel was my favorite film of 2006. Justin Simien’s first feature is funny, dramatic, and insightful, and successfully avoids preaching. The main characters talk about their philosophies and ideals, but they’re all young college students, and that’s what young college students do. And when they’re African-American students in an overwhelmingly white ivy league school, you should expect some anger in their talk. 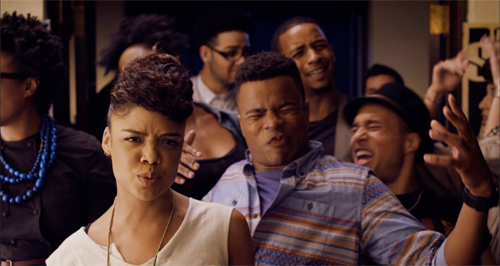 Samantha (Tessa Thompson), whose campus radio program provides the film’s name, is the most militant and political. Lionel (Tyler James Williams) wears a giant afro, writes for the school paper and is too insecure to come out of the closet. Everything comes together at the climax (this is not a spoiler) where a group of largely white students throw an extremely racist Halloween party. It’s impossible to evaluate this documentary as a work of art. For one thing, it’s subject matter is so important that I’m inclined to ignore it’s narrative flaws. For another, it covers subjects that I write about professionally. I’m actually researching a piece right now on encrypted email, and one of the first images in the film is a PGP public key (don’t worry if you don’t know what that means). But I’ll try. Laura Poitras starts the film with her own credentials as an activist filmmaker hated by the US government, but the real protagonist is Edward Snowden. Poitras and her camera were in the Hong Kong hotel room where Snowden told Glenn Greenwald about the NSA’s horrendous destruction of our privacy, and those four days of interviews make up the film’s centerpiece. 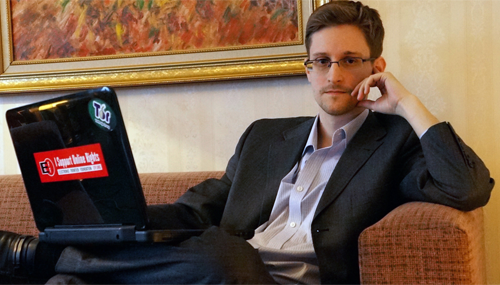 Snowden–a great American hero in Poitras’ view and in my own–comes off mostly as a self-effacing nerd who understands right from wrong. But the long discussions in the hotel room become visually boring, despite the important and fascinating story at their core. Things get better as the action moves elsewhere, mostly in court hearings and press conferences. It would have been better if Poitras had found a more visually interesting way to show what Snowden was explaining. Being a nerd myself, my favorite moment had Snowden criticizing Greenwald for using a too-short password.